When asked what to put on a dog tag Everyone in the business of Dog ID tags readily quotes the 1992 Control of Dogs Order, probably giving this outdated bill no more thought. This dog control order has John Selwyn Gummer’s name on it, he was Minister of Agriculture, Fisheries and Food at the time, he’s the bloke famous for feeding his four year old daughter beef to prove the cows weren’t mad. Before we go any further, do note that this is just one of many laws, local bylaws, acts – call them what you want – there are many designed to protect dogs from irresponsible owners and to protect the rest of us too. All a good thing of course. However, this ‘order’ is the one all dog ID tag people turn to. What’s right about the 1992 Control of Dogs Order? Dogs have to have a collar on for their own and everyone else’s safety. No one could really argue convincingly against this. The few prosecutions under the Control of Dogs Order have indeed involved dogs left to roam a town without a collar or name tag. Retrieving these dogs, caring for them and tracking down their careless owners has costs associated with it and fines were rightly issued. However, this is extremely rare. Most prosecutions involving dogs you’ll read about will involve other laws: Anti-social Behaviour, Crime and Policing Act 2014, The Clean Neighbourhoods and Environment Act 2005, Dogs (Protection of Livestock) Act 1953 and more. What’s wrong about the Control of Dogs Order? Everything else. Its dated advice is to ‘wear a collar with the name and address of the owner inscribed on the collar or on a plate or badge attached to it.‘ Who does that serve? How useful is it to have your address on your dog ID tag? What’s someone going to do if they find your dog after he or she has run off after an imaginary deer and all they have is your address? Send you a postcard? We are often in Eastbourne walking Lulu (our New Zealand Huntaway) on the downs. She stays with us there, but if she did get lost, I imagine a kindly local would sort her out. Maybe make her a sandwich and put her on the train to Victoria (‘Now remember Lulu, you have to change trains at Haywards Heath…’) They could attach a note to her collar asking anyone there to help her get on the right tube to St Pancras. 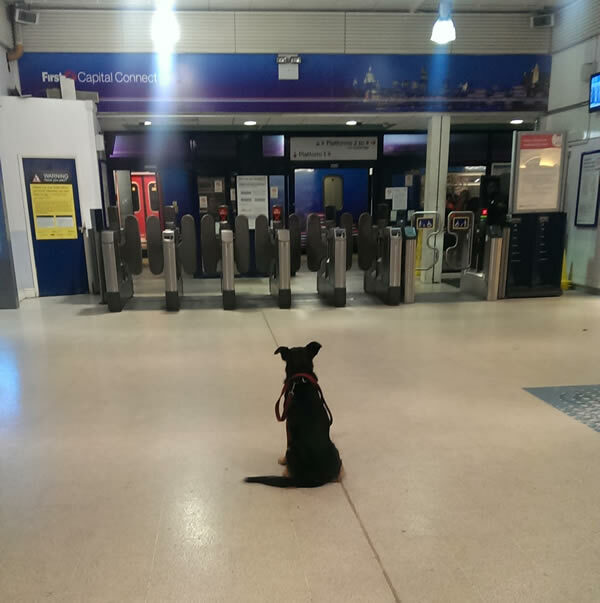 She’s a clever girl and will surely get on a St Albans train with no trouble. If you study the Order (it’s only short) it’s immediately clear who it’s there to protect and serve and it’s not you. Additionally, guide dogs and other working dogs are excluded. Those four groups are at the top though, listed a, b, c, d on the order. The order states ‘wear a collar with the name and address of the owner…’ for one purpose only: So you can be found and fined should your dog stray and do any damage. 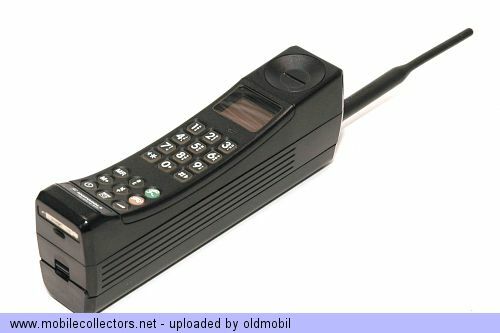 Yes, that would have been your mobile phone in 1992. That’s when the average salary in the UK was circa £14,000 (the 3200 cost £762). Whitney Houston was in the charts with I Will Always Love You. It’s the year Marlene Dietrich died. British Steel still existed, there were still deep coal mines. It’s the year Her Majesty declared Annus Horribilis. We’re all responsible dog owners who keep our dogs under control. We care for the environment whether we’re in the town or country. We keep our dogs right away from livestock of any sort and under no circumstances would any of us allow our dog to wander about on its own accord. We have our dog’s name clearly on her tag. I have my mobile number on it too, just as clearly. Nothing else. I want my number and Lulu’s name to be clear as possible, then whoever finds her if she gets lost in the woods at Nomansland (near St Albans) I want it to be as easy as possible for whoever she wanders up to to give her a pat on the bonce and me a call so I can go and get her (it’s happened a few times). Some people don’t want their dog’s name on the tag, fearing a Fagan-like dog whispering thief is lurking, waiting to entice their dog away. Not funny and absolutely understandable why people do this, but dog theft is rare. Media reports of it being on the increase fail to point out that the thefts are often litters of puppies from breeders that are then sold on. Complying with the outdated and not fit for purpose Control of Dogs Order is fine of course and we’re happy to make dog name tags for people who wish to do so. I just hope their dog doesn’t get lost as it could be that much harder for them to be reunited with it. The 1992 Control of Dogs Order needs updating so that it acknowledges the fact that, since 2016 every dog is Microchipped with its owner’s information and every dog owner has a mobile phone. Let’s make 2019 the year the 1992 Control of Dogs Order is updated! You won’t have to buy another dog name tag for ten years. Guaranteed. There are minor Ts&Cs, but we will keep your dog safely tagged. For at least ten years. Even if your dog swaps its name tag for food. Guaranteed. To make your dog name tag strong enough to last for ten years, the brass is 2mm thick, the hole size, position and tooling specified by the UK’s leading Spitfire Engineer who restores Spitfires at Old Warden. One size definitely fits all. 27mm is perfect for dogs of any size. Dogs of all sizes, from Yorkshire Terriers, Pugs and Whippets, to Great Danes and Dogue De Bordeaux are proudly sporting their Ten Year Tags. Brass has strong antimicrobial properties (it repels germs) It’s lovely and shiny out of the box, dulling stylishly and gracefully with age. Perfect dog tag material, as it’s not too heavy and engraves deeply. A year ago we started working with a Spitfire Engineer to design the most robust and suitable way of making a Dog Name Tag from restored equipment and recycled or recyclable materials and doing this so well we could confidently guarantee it for Ten Years. Can I have a different shape or size? At the moment we make one, perfectly-sized 27mm Dog Tag, from 2mm thick brass. This enables us to guarantee your dog tag for Ten Years. Even if you lose it. The novelty shapes and different materials just can’t be engraved deeply enough or thickly enough, they’re also weaker and more prone to breaking. Consequently they’re not going to last ten years and don’t warrant a ten year guarantee. Ten Year Tags are made to last Ten Years or more. What's this Ten Year Guarantee about? It’s what it says on the tin. We got tired of having to get a new dog tag every year, sometimes more often, because the previous one had either disappeared or become unreadable. So, as we say above, we decided to make a better one. And guarantee it for Ten Years. We haven’t got a catch, we’ve a cap, which we need to ensure we stay in business and can ensure the dogs of the world are properly tagged! 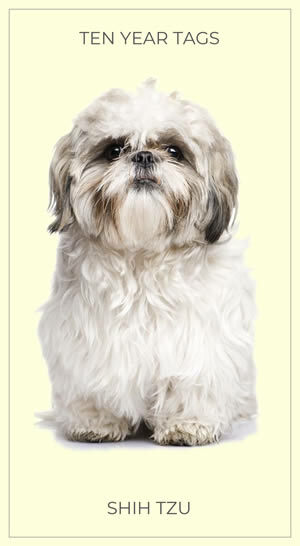 We provide three completely free replacements on the basis that our dog name tags are made to last Ten Years. However, we understand dogs and know tags can get lost no matter how hard you try to look after them, so it’s on the basis of losing one every two and a half years we agree to provide up to three additional tags completely free, after which it’s £2.99 to cover consumables, the production costs remaining free (UK orders only, overseas we charge a small shipping cost in all instances). Do you think that’s fair? We’re easy to contact and would love to hear what you think. How do I attach the tag? Good question. We have ambitious plans for changing this, but – for now – we supply you with a super-strong split ring. We’re well aware the split ring is a weak link, especially rubbish ones often sent out with dog tags from other places. We have dozens of them here, from falconry to deep sea fishing (TOO strong and a bit too small. Impossible to use without split ring-specific pliers) all tested for strength, usability and sustainability. The split ring we send out is solid enough to not break should you accidentally attach your lead to it. We’ve tested for this extensively. 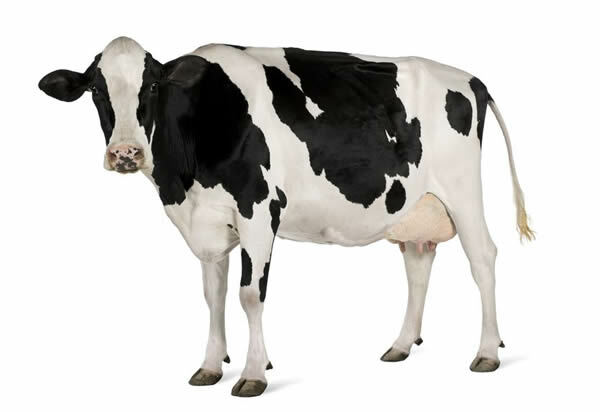 However, if your dog is massive and as strong as an ox, he or she probably would break it. Attaching your lead to the split ring is to be avoided at all costs. Ours are made by a lovely company in the midlands. We engrave each dog tag to order and hand-finish each one. We’ve strict quality control and if yours isn’t perfect, we do it again until it meets our strict Quality Control. There’s infilling by hand too, which has to dry. We take getting your order fulfilled as well and as quickly as possible seriously. We don’t want any un-tagged dogs out there! Want to get one some other way? I’m afraid we’re not in any shops yet, but are working on this. We did mention it didn’t we? Yes? Good. Here’s the summary: We’ll obviously replace or refund should you not be happy in line with all your usual rights. However, we’re certain you’ll love the care and attention to detail we’ve put into making sure your dog will find his or her way back to you, should they go for a wander. We’ll replace your dog name tag FREE OF CHARGE three times. Whenever you want. After which we charge only just enough to cover the consumables: £2.99 – that’s it. This helps ensure we don’t go out of business should one of our customers lose their dog’s name tag every single day for ten years. That would be annoying. All dogs deserve a happy life and The Dog’s Trust has been helping dogs enjoy a happy life since 1891. It’s a voice for dogs, some of who can’t speak themselves. Ten Year Tags is giving Ten Per Cent of all revenue to The Dog’s Trust to help ensure it can keep rescuing and re-homing all those good dogs. 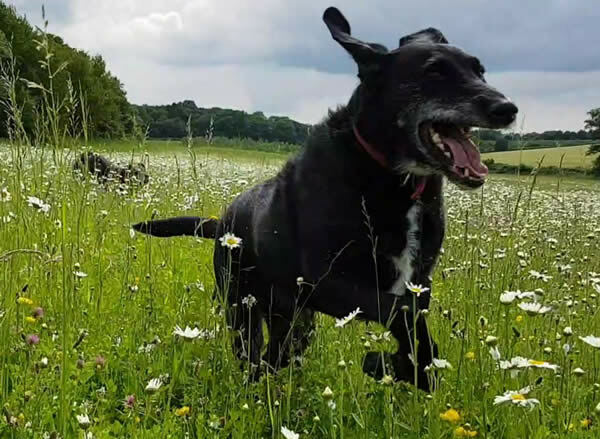 Lulu is 13 in June #huntawaysofinstagram she came from Lime End Farm in Sussex, here in the UK where her mum and her dad, Lord Toro had come over from #newzealand to herd the dairy cattle there. Are any other #limeendfarm Huntaways still around, barking at everything that moves (and rightly so)? There's a reason why the New Zealand Huntaway is our favourite dog. Now if I could only remember what it was. Any ideas Lulu?